What Sunglasses Suit my Face? 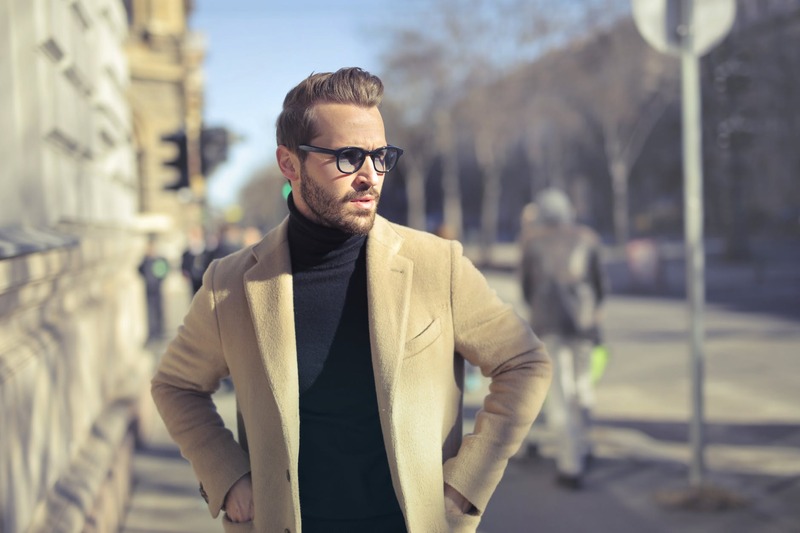 From protecting eyes from potential harm caused by UV rays to adding an extra “oomph” to your outfit, sunglasses truly kill two birds with one stone. There’s a reason why sunglasses make you look like a star. In the 20th century, Hollywood stars and actors needed some sort of protection from the strong, Hollywood sun. are important during the winter. But one of the most important accessories has to be sunglasses because who likes squinting at sunlight? If you’re a man who takes pride in being dressed to impress, then sunglasses are a closet essential. It’s not hard to carry around a pair and the investment in the right pair is definitely worth it. But how do you know which sunglasses are the right pair for you? The shape of your face has a lot to do with what suits your look. Sure, high-quality brand name sunglasses are great, but if they don’t fit your face correctly, then was it worth the investment? Quality is great, but appearance matters too. The right pair of sunglasses for one man will be different from another’s. That’s why we created this guide to help you determine what the best type of sunglasses are for you. Before we dive into the different face shapes, we’re going to introduce the different types of sunglasses. This is a pair of sunglasses that makes a statement. Round sunglasses were prevalent during the 90’s and they’re probably the most difficult to rock. You need a very specific face shape in order to pull these off right. Round lens shades help to soften bold and sharp facial features. Sporting a sharper shape compared to round sunglasses, square sunglasses are actually capable of doing the opposite. Add some definition and structure to around jaw or soft cheeks. It goes without saying that square sunglasses are not literally squares. They are, however, rounded around their four corners. You can’t miss a pair of aviator sunglasses when you see them. They are extremely popular among both men and women, making them a very stylish choice. One few of their best features is the thin, wire frame that can hook to the back of your ear. This is particularly useful so they stay on as you go on about your day. While you might mistake these for square shaped sunglasses, take notice of the flat edge across the top. The frames are supposed to resemble the letter D. D-frames have both a retro and modern feel to them, making them versatile to help boost any look. Just like body types and shapes, faces come in several different shapes. The following face shapes we’ll be covering are the most typical and you’ll most likely fall into one of these categories. If the length of your face is more than the width of your cheekbones and the jawline is lightly rounded with a wider forehead, then you have an oval face shape. This is a lucky face shape to have, simply because all sunglasses types work well with this build. A box-shaped jawline and square cheekbones are what make a square face shape. Tone the sharp, defined features down with some round rims and small or medium-sized sunglasses. Make sure you don’t choose anything too big, busy, or overwhelming in general. A round face shape is defined by typically bigger cheekbones and head widths that are comparable to head lengths. Because round face shape tends to have smaller or less defined jawlines, angular sunglasses work well to help add a bit more shape. Square style and D-frame style sunglasses work great with round face shapes. A large jawline, small forehead, and small cheekbones means there is more bottom definition. Large sunglasses can help a lot to bring some balance. Small frames are not a good choice since they allow the bottom to become too prominent. Being similar to square-shaped faces, you want to soften edges with the pair of sunglasses you choose. Make sure the widest part of your face is not extended and shy away from sharp, defined sunglasses. Heart face shape is represented by a pointy chin with a forehead wider than the cheekbones. It is best to avoid round styles when you have this type of face shape. A diamond face shape will feature the cheekbones being the widest part of the face. After that the forehead then the jawline in this order will decline in width. A pointy chin completes this head shape and is a noticeable feature that stands out. If you find that you’re having a hard time determining what your face shape is or feel that your face shape falls into two of these categories, there is no need to worry. Take into consideration the following tips moving forward. If you have someone you trust, you can ask them to help you determine your face shape if you would like. Before we jump right into specifically what sunglasses suit what face shape, there are a few general guidelines to mention. Try to keep the shape of your sunglasses the opposite of your face shape. Structured face shapes should go for rounder lenses while round faces should go for structured lenses. You should always try on your sunglasses before you buy. In cases when you purchase your sunglasses online, make sure you can get a free return if you find the shades you wanted don’t quite suit your face the way you were expecting. Take into consideration your hair and skin color. Some colors look better against certain skin shades. Your hair length and style matter too. Hair that covers some of your head will make your head shape appear different. If you have a buzz cut, your head shape will be more prominent. If you notice that you get more compliments when you wear a certain color, get some shades in the same shade. If you happen to wear one specific color often, getting shades in a complementary color can be exotic. Experiment and see what works for you. because they’re mainstream, you may want to reconsider. You may be surprised to see that these types look stunning on you. Your sunglasses should be looked at as an investment. If you can, take a look at the best sunglasses brands to ensure your hard-earned money is worth spending. It’s much better to have a couple pairs of sunglasses that are reliable than a dozen, cheaper sunglasses to match each one of your favorite outfits. With the previous tip in mind, you may want to consider a pair of extremely versatile sunglasses that can work with pretty much any outfit. That means going for a neutral color that won’t clash easily. It will also save you some cash since you aren’t looking for that next pair of shades that didn’t seem to fit your attire for last Saturday night’s outing. Now we’re moving onto what sunglasses suit what types of faces. Just like any fashion rules, these are guidelines and you can feel free to break them as you please. Keep in mind that with our suggestions we are trying to help you achieve the best look possible. When you pick out a nice pair of shades, you want to look your best. If you follow these rules, it will be hard not to! your heart desires. The things to consider when you have an oval face shape is to avoid novelty styles as well as low hanging arms. This is because the low arms will elongate your face, which may be something you don’t want to do. , and round frames are your go-to’s. Remember that your face shape tends to have a little bit too much definition, to begin with. Keep your sunglasses a modestly sized, think small to medium, and don’t go for anything too bold. Go the opposite of the advice we gave to those with a square face shape. Choose sunglasses that have defined shapes to help slim your cheeks. A strong brow and a frame wider than your head are also a plus. Frames that are angular are also useful in lengthening the face and temples. Even though you’ll want to generally avoid round frames, a D-frame with a straight top is acceptable. To sum it up, go for square frames, clubmasters, and wayfarers. Help balance out the dynamics of your face by choosing a pair of sunglasses that add width to your head. The frame shape doesn’t really matter as much for your face shape, though you should try to aim for larger sunglasses. Oversized styles will also work as well as long as it’s not obnoxious.
. A great go-to style for you is Wayfarers. D-frames and clubmasters are also suitable for your face shape. If you have a heart-shaped face, then take note that your face shape is one of the most difficult to accommodate. This is not something to be disappointed about, though. Just make sure you follow our tips carefully. Since your chin is narrow and your forehead is wide, you need to help balance them out. clubmasters and other round frame styles that can help complement a pointy chin. Small and medium-sized shades are right in your ballpark. We’ve shared with you the ins and outs of choosing the right pair of shades according to your face shape. Like we mentioned earlier, these are general guidelines and they can be twisted and turned (at your own risk!) to suit your personal preferences. Even with these tips in your back pocket, it can take some time to find the best pair of sunglasses for you. Take the time to experiment with lower price tagged sunglasses until you feel you’ve found a style and shape you think is best. It’ll be even better if you can get input from your friends or your girlfriend for some extra reassurance. Then take that to your favorite luxury brand and you should have a guaranteed winner. Don’t fret if you haven’t found the perfect pair yet. Now that you know our tips, you can be sure you never spend on the wrong pair of sunglasses ever again!